This beautiful flower widespread in our gardens, is familiar even to laymen in plant growing. The inflorescence in a form reminding a star gives to Astra uniqueness and a graceful look. Actually, thanks to it the plant also received the name: "aster" – a Latin transcription of the Greek word "asteros" that is translated as "star". 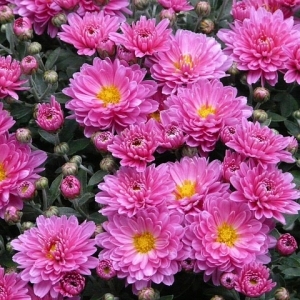 Aster is a sort of grassy plants of the family of Asteraceae, including by different estimates, from 200 to 500 types. The majority of them is grown in a wild look in Asia, Europe, the Central and North America. Asters happen both long-term, and one-year. However it should be noted that the plant which is widely known to flower growers under the name "Aster Garden, or One-year", actually belongs not to a sort the Aster, and to related to it to a sort of Callistephus. The correct name of this plant – Callistephus chinensis. Aster. Aster variety. Aster cultivation.